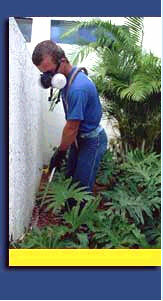 India Pest Control Service - AISHWARYA BHAVAN PEST CONTROL PVT LTD is a value driven organization . Our motto is to service and to satisfy our customers. The Company enjoys a prestigious position among its competitors in India .We have implemented advanced technology in pest control, empowered by resourceful and well experienced staffs. 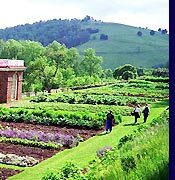 With the help of ECO systems, we use ECO FRIENDLY and non-residual PESTICIDES as our concern to mankind and our environment. control can be done by physical, chemical and biological method and follow scientific aspects and in their regulation. B P L - Larson & Toubro Ltd - H A L - IBC - HMT Ltd. Jains Housin Constn.Ltd. - Amco Batteries - Jayem Engg. With a market presence of more than TEN YEARS in the field of PEST CONTROL services, we are registered under the Government of India, and observe strict Quality Control (QC) and we and have obtained all Licenses pertaining to Pest control including CFTRI Certificate. 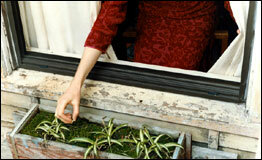 AISHWARYA BHAVAN PEST CONTROL PVT LTD is a value driven Organization. Our motto is �GOOD SERVICE AND SATISFACTION OF OUR CUSTOMERS�. The Company enjoys a prestigious position amongst its competitors in India. 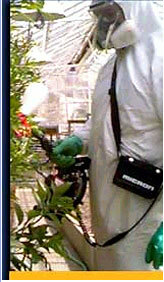 We have implemented advanced technology in Pest control, empowered by resourceful and well experienced staff. 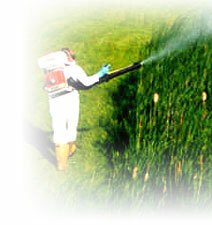 With the help of ECO systems, we use ECO FRIENDLY and non-residual PESTICIDES as a concern to Mankind and our environment. Acknowledging the risk involved and the responsibilities the company provides ESI & PF diligently. Considering the health & well being of our employees,they are insured under Employee�s Group Insurance with LIC of India. We ensure complete customer satisfaction, however, in the unlikely event of any complaint, our management personally takes care of the complaints. We undertake prevention and control of microbiological activity in grain products. We carry out Insect pest control by physical, chemical and biological methods and adopt Scientific aspects in TOTALITY.Our treatment is differentiated into acute, chronic and sub chronic stages of treatment at recommended concentrations, as stipulated by the technical authority . Extreme care is taken at all levels, in order not to pollute the Environment and Residential premises as is a must for all Pest control practices. We can state with confidence that our QUALITY CHECK guarantees thissafety. We follow strict up to date International safety norms. 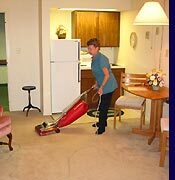 Our Pest management defers the control of live Insects as well as hiding Insects.The main insects commonly founds in kitchens and food associated areas are cockroaches, mosquitoes, ants, flies, and other insects such as lizards, spiders, fleas, bed bugs, silver fish, crickets, beetles, moths, caterpillars, worms etc. These are instantaneously knocked down by our treatment, and the insects which are in hiding are forced to come out into the open, and get killed. Fogging & spraying for larvicide�s treatment in all drainages, manholes, water logged area, closed areas surrounding the building, basements and garden. Spray on bee hive and surrounding areas and the beehives are destroyed in minutes. Providing Pre-Construction Anti-termite Treatment under and all around foundation pits, basement excavation, under floors, top surface of plinth , junction of wall and floors along the external perimeter of the building etc. We provide a ten years guarantee for this treatment . Rats are the main enemy of man, because they enter places where food is stored and contaminates it, thus spreading diseases such as Plague, Dengue, Cholera and Yellow fever. We know the habits of rats and the methods to control them. Rats can damage, food, cables, wires, wooden structures, dig around concrete structures thus weakening them. Rats are of the mammal class and a single female rat can produce hundreds of rats in a short time. We can track the rats (you don�t need a Pied Piper !!) and get them before they get to you. Sterilization / Anti weed treatment is undertaken strictly as per recommendations of the Specialist for various types of soil. 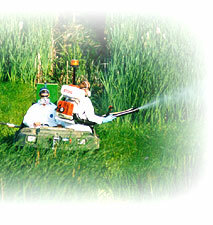 This operation of spraying is repeated at least three times for completion of anti weed treatment at an interval of 15 days between two operations. After the soil sterilization material is applied, the surface is prepared to the required slope / grade, a base layer of uncrushed / crushed broken stone / pebbles (gravel) of 20 mm nominal size is spread on. It is then rolled / compacted using a half ton Roller (30� width and 24� diameter) with 4 to 5 passes followed by water sprinkling to form a minimum 50 mm layer on the entire substation Site. To provide Eco-Friendly pest control service of superior quality, we have adopted time tested safe application methods and have employed a technically competent work force . Great care is taken to ensure complete customer satisfaction and actions taken for continual improvement in the delivery of the service. » Pristige Forum Mall Project » IBP Co.Ltd. » Sempcrop Infrastructure India Ltd. » Esel. Inc.
» Capricorn Logistic Pvt. Ltd.
AISHWARYA BHAVAN PEST CONTROL PVT. LTD.